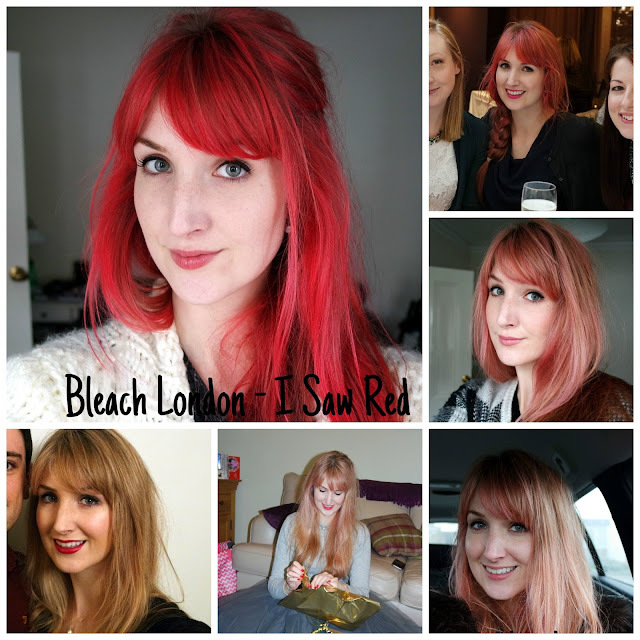 I love Bleach London hair dyes and have previously experimented with Rose and Awkward Peach. However the second I got in from work on the last day before Christmas break I knew I wanted to go bold - bright red! This is Bleach London - I Saw Red which was £5 from Boots. I have naturally blonde hair, with some bleach highlights on the top layers and this is how it turned out. It was so bright! It also gave a really even colour and I loved it. However as always, I got a bit panicky and couldn't find any other reviews which showed how it washed out (or even if it ever did!) so I decided to document how it washes out. Each time I washed it I used Head and Shoulders shampoo to lather, rinse and repeat. I also used Aussie 3 Minute Miracle to condition and in the later, blonder stages, I used John Frieda Tone Correcting Shampoo and conditioner to neutralise brassier tones. After wash one, the colour changed from bright red to bright pink instantly. I wasn't upset - I love pink and was delighted to get another colour from the dye. The colour disappeared from my natural hair colour more quickly than the highlights, giving a dark root look but it was ok! On wash 2, my hair was a Barbie pink, faded from the bright pink but still consistently pink all over! 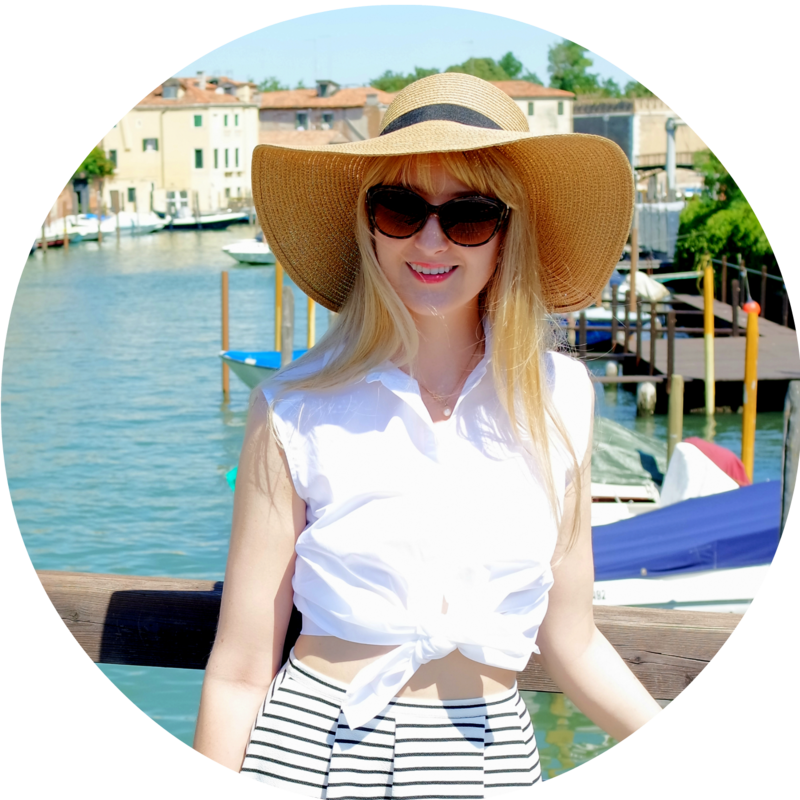 This was probably my favourite stage - my hair was almost a rose gold colour, with natural blondes coming through and highlights remaining a light pink. After wash 4, there was more blonde peeking through. I felt this was quite a light candifloss shade, maybe what I would have achieved with the Rose colour. On Christmas Day my hair was a slight pink colour which was really cute! I felt like a fairy! Wash 6 - I didn't manage to get a good photo but my hair was barely, instagram-filter pink at this stage. New Years Eve and my hair is basically back to normal. It has a slight bit of warmth in which isn't really noticeable and I think looks nice for winter. I'm sure it will neutralise with purple shampoo. You can't really see any pink in it at all anymore so I would say it's basically washed out! Love that colour on you. Maybe the fade could be down to using head and shoulders as that strips colour most stylists recommend to massively avoid them! Red hair looks beautiful on you and I can't believe how quick the colour faded! This looks absolutely fabulous on you! Surprised at how bright it turned out! I've found with Bleach London dyes that they're quite pastel-y! Did you use 1 or 2 bottles? I've used the rose colour before and it goes a really candyfloss pink if you leave it on more than the stated time, I found the rose colour kept for the first 2 washes, if was basically gone on the third, but the majority of the fading was from it getting sunbleached. How is the red colour for sunbleaching?